Black Fret is a 501(c)(3) charitable organization founded in Austin by Colin Kendrick and Matt Ott. It was created on the simple idea that local music is art, worthy of community support just like the symphony and the opera have been supported for generations. 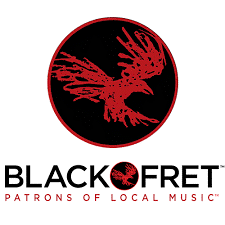 Black Fret’s mission is to enable the creation and performance of new music by Austin’s exceptional local musicians. Its vision is to build an endowed institution capable of sustaining over a million dollars a year in grants to Austin musicians. Black Fret members share, nominate, review and vote for musicians living and playing in Austin through the Artist Selection Process. Past grants have ranged from $5,000 to $18,000. Black Fret grant winners “unlock” their grant payments by achieving specific milestones (for example, writing and recording new songs, touring, or providing community service by performing in classrooms or at fundraisers for other charities). Founders, Colin and Matt will join us to for a discussion of the Austin Live Music community and share their vision for Black Fret. Meals provided by Manny Sifuentes, manager at Cafe del Rio, a business staffed by the Texas Commission for the Blind. We order meals based on your reservations and must pay for them even if you do not show up. If you need to change or cancel your reservation, please call 512-441-1555. Remember that the speed limit at TSBVI is 10mph.